The 1st of its kind. 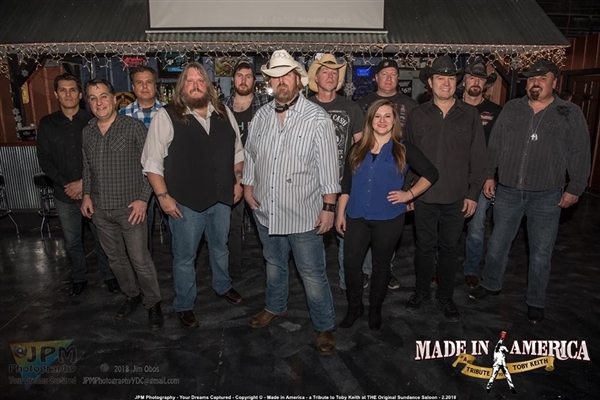 A full length tribute concert to the "Big Dog Daddy" himself Mr. Toby Keith, From the creators of Suburban Cowboys comes this awesome show. Our 12 piece band mirrors Tobys touring band the "Easy Money" band. Toby will be portrayed by longtime Chicago musician Paul Wenzel. Paul channels Toby's on stage persona and delivers an "Almost Toby" performance. Add to it the horns, the pedal steel, the guitars and the 5 vocalists we have, its a powerful show that shares Toby Keith's humor and patriotism with the audience. Get your Red Solo Cups ready and proceed to party!